For over 10 years, we’ve supported the therapeutic advantages of cannabis with a buying experience that exceeds expectations. *Adult Use 21 and Up with valid government ID. 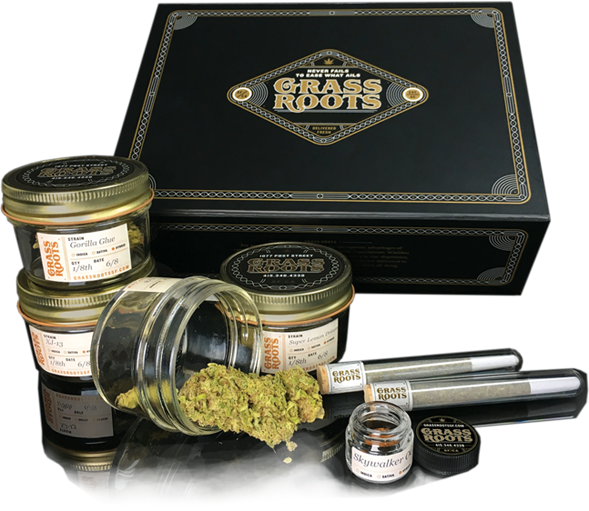 Grass Roots adds further convenience to your life through our Online Store Menu. Powered by Treez, our menu online matches what we have in store so you can find what you need before stopping in. Our store is open from 8 AM to 10 everyday of the week. Our standards of excellence in both service and products sets our customers at ease. Through a comprehensive screening process for unwanted contaminants and byproducts, we ensure quality options, exceptional results, and your safety. Our knowledgeable staff is always available to offer accurate information and help you determine the right selection. View our selection of in-house medical cannabis products. From pre-rolls to fresh flowers, we got you covered. Read about the current rules & regulations of medical and recreational marijuana. We're happy to help. Have questions regarding our products or services? Visit the FAQ page for answers to your burning questions. We are located at 1077 Post Street in San Francisco, CA. Stop in and see what we have to offer! Grass Roots creates a comfortable and professional atmosphere, helping you to find the right medicine for your specific needs. Supporting the therapeutic advantages of cannabis, we offer an extensive selection of fresh flowers, pre-rolls galore, premium vape cartridges, tasty edibles, and accessories for every occasion. Serving San Francisco and the surrounding Bay Area communities since 1999, we continue to endorse and provide one of the most effective natural healing remedies to our clients.